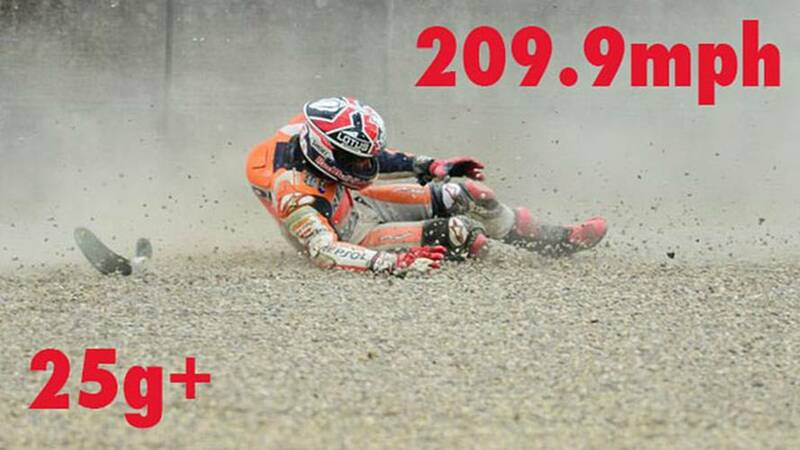 During practice for this weekend's MotoGP race at Mugello, Marc Marquez had an absolutely huge crash. Because he was wearing an airbag-equipped Alpinestars TechAir suit a) he walked away without injury b) the entire crash was datalogged. Here's those numbers. - Speed at time of loss of control: 337.9 Km/H (209.9 Mph). - First impact with ground: 0.080 seconds after crash detection. 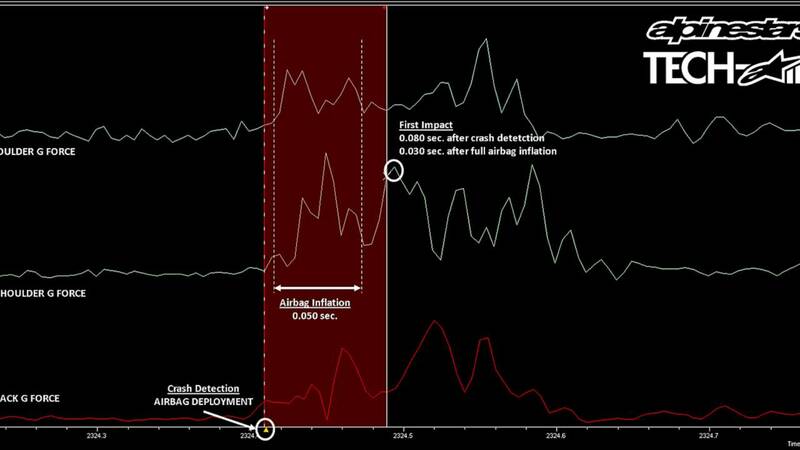 - First impact with ground: 0.030 seconds after full airbag inflation (airbags inflated in 0.050 seconds). 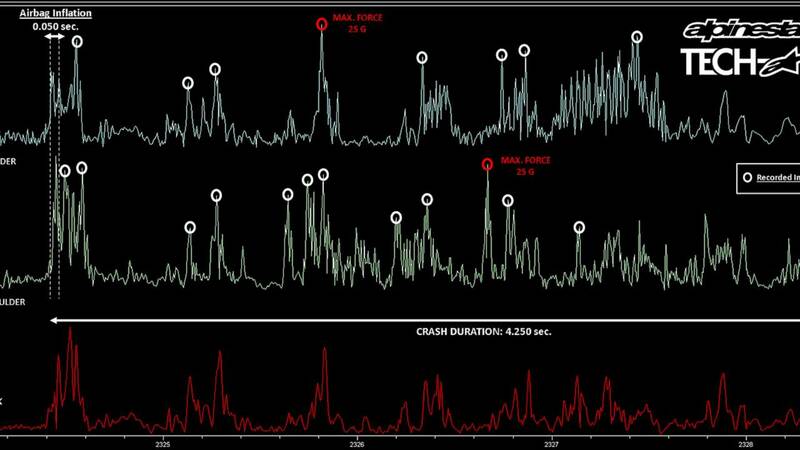 - Maximum (recorded) energy in crash: 25g (the Tech Air system accelerometers' maximum energy recording capability, meaning the actual impact was likely more severe). - Duration of significant data during the accident: 4.250 seconds.